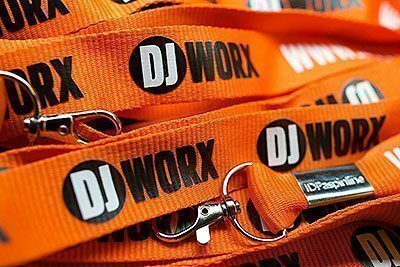 Aside from the renewed wave of love and commitment from the industry for the now established DJWORX, there were some trends that we’ve picked up on in the last 12 months that have to some degree been underlined at BPM 2013 this year. Lessons have been learned while swimming with the current of the controller flow, which are now being put into practice. DJ Fong Fong cuts it up on the new Reloop RP-8000 MIDI turntable. 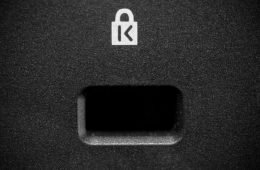 The controller revolution is now the norm, with ease of use and convenience cited as key reasons. 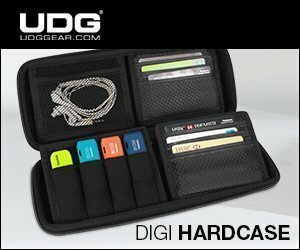 But with this ultra-slick workflow comes an unwanted side effect — it’s all got a bit boring for DJs. The process of DJing has become about downloading and organising music into highly tuned libraries where the tracks are beatgridding, hotcued, prelooped, BPM’d, and keyed with military precision. For many, the role of the DJ is to pump a pile of tracks into the DJ machine to deliver the same perfectly sterile set. Ho hum. 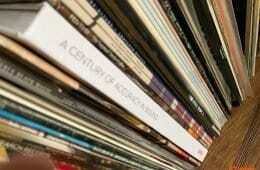 So some are looking for ways to make DJing as enjoyable for them as it is for the crowd. And that has got people looking back to the time before controllers. 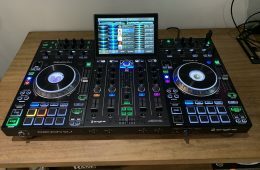 I don’t see laptops being ditched anytime soon, but the hardware is being scrutinised more to see if using different gear can make playing a set more enjoyable for DJs. Mixers are being released with less bells and whistles, controllers are being updated and not delivering more revolutionary features… hell Reloop announced 2 new turntables at BPM. We are in an age where the revolution has settled down, the results are being analysed, and for some are found wanting. If the process of being a DJ has been eroded to pressing a few buttons to not only buy but also to deliver music to a crowd, it should come as no surprise that some as becoming disenchanted with the role of a DJ, and want to look for ways to be more engaged. 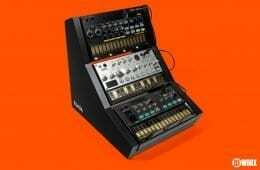 Think of it this way — people said that synths, samplers and drum machines would kill off musicians. They didn’t, and said revolutionary instruments are used by and with real musicians. 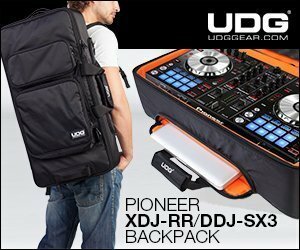 And that is what I feel will happen with digital DJ gear too. 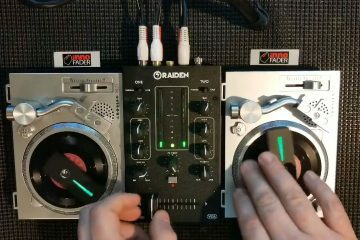 The all-in-one controller will happily coexist with turntables, media players and modular units in our DJ future, and our scene will be the better for it too. We find ourselves in a time where the controller market has flattened out. Before controllers, products used to get updated on an infrequent basis and would last a long time. And due to the rapid evolution of the digital market, controllers have finally reached that point too, with no clear change likely to happen any time soon. 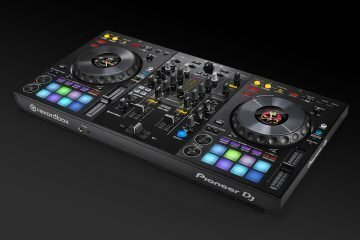 Thus there isn’t likely to be any imminent revenue at the same level that is has in the past few years from the core DJ market. But given the way the DJ scene has changed too, the scope for manufacturers to diversify into related markets is big. 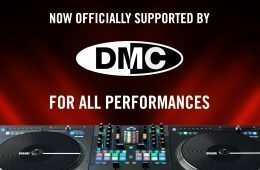 Take Vestax as an example — their PBS-4 web broadcasting system is not a DJ product per se, but can be used by DJs to perform live in this high bandwidth ustream age. Pioneer is another company to have spread its wings a little wider and are now in the club install mark too. 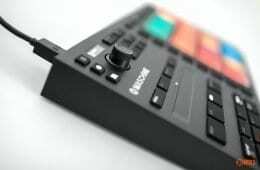 And Reloop just made some very production oriented units too. And believe me, these aren’t the only manufacturers looking at things “not quite DJ but related” as seems to be the often quoted phrase. It seems that the decision to essentially start over, totally rebrand and invest has paid off big time. We’ve had discussions with all the major players in the industry, outlined our roadmap for the next few years, and got a universal “absolutely love it — we’re in”. They may have been saying this simply because we gave them drinks, cake and biscuits (and a place to hide from the show for an hour), but I’m quite certain that the response was genuine, and that we’ll be cementing our position as THE gear focussed site and industry goto resource as well. Sharing 10th birthday goodies with DMC legend Cutmaster Swift. I just want to say sorry to a handful of people who I didn’t get round to seeing, to some who I had to cut short, and to some I feel I was uncharacteristically rude to. Genuine and humble apologies if you’re reading this and agreeing. I don’t like being that person, and will be changing up the way I operate at BPM. The private room is a blessing and a curse. I did at least make it out to share 10th anniversary confectionary with friends. IDA World’s Tomasz and Big mike from Pro X Fade share the 10th birthday goodies. Our co-sponsoring of the IDA UK and Ireland battle stand worked out very well. Bar a smashed plasma, they got the raised profile they were after, as well as delivering 3 days of constant high quality turntablism and controllerism. Big ups to Mike from Pro X Fade, Loop Skywalker from IDA UK and Ireland, Tomasz from IDA World and Gjiggy for filming. Special thanks to Vestax, Numark, and Westend DJ for providing gear for the stand. And to the BPM staff for being so obliging. Above all, I want to say a huge thanks to the DJWORX team, without whom I would have been less organised and less present than I was. Big thanks to Markski, Sam Hulley, Dan Morse, and my daughter Hatty for being the more public face of DJWORX and making people happy with t-shirts. 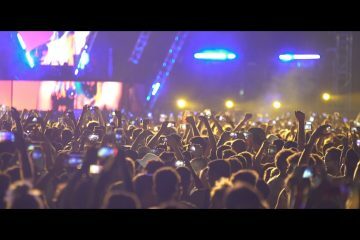 Is the BPM Show really back? Hell yes.